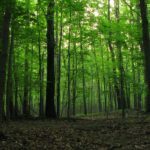 Western Reserve Land Conservancy has partnered with the Audubon Society of Greater Cleveland to acquire and permanently preserve approximately 80.5 acres of land that will be added to the adjacent Hach-Otis Sanctuary and State Nature Preserve located on Skyline Drive in the City of Willoughby Hills. The extension project effectively doubles the size of the Lake County sanctuary, permanently protects critical riparian and upland forest habitat along the Chagrin River, and increases public access to the river. Between 1944 and 1947 two contiguous properties in Willoughby Hills were donated to the Audubon Society of Greater Cleveland (formerly The Cleveland Bird Club), to form the 81-acre Hach-Otis Sanctuary. The sanctuary was dedicated as a State Nature Preserve by the Division of Natural Areas and Preserves of the Ohio Department of Natural Resources in 1977. Audubon Society of Greater Cleveland members have worked over the past 30 years to expand the sanctuary. The Land Conservancy began helping the Audubon Society with the expansion project in 2010. 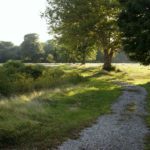 The Land Conservancy worked with three separate landowners to acquire the eight parcels comprising the extension project. The property was recently acquired and transferred to the Audubon Society of Greater Cleveland, which retains ownership and full responsibility for the maintenance and management of the expanded property. The Audubon Society of Greater Cleveland granted a conservation easement on the property to the Land Conservancy; the easement limits future development and ensures the property will remain a wildlife sanctuary. The new property will open to the public in the near future. Funding for the project was generously provided by a Sustain Our Great Lakes grant from the National Fish and Wildlife Foundation and ArcelorMittal, an Ohio Public Works Commission Clean Ohio Green Space Conservation Fund grant, the Audubon Society of Greater Cleveland, the Charles Lathrop Pack Trust, Cleveland Museum of Natural History Trout Club, and numerous individual donations. 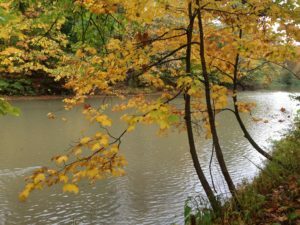 The newly preserved property boasts a large tract of mature forest bisected by ravines that open into forest floodplains dominated by towering walnut, cottonwood, and sycamore trees that skirt the edges of nearly a half mile of the Chagrin River. The mature hardwood canopy and hemlock ravines provide extensive breeding habitat for rare species including the yellow-bellied sapsucker and cerulean warbler, which are both state designated Species of Concern. Winter wrens, Canada warblers, and dark-eyed juncos have also been spotted on the property. 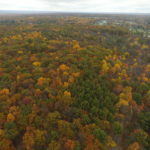 Additionally, the permanent conservation of this property eliminates the threat of development at the site, safeguarding the Chagrin River from development-associated runoff, which in turn, helps to protect the quality of the Chagrin River watershed. The significant standalone conservation value of the expanded Hach-Otis Sanctuary is amplified by its connection to several conserved properties, including Cleveland Metroparks’ North Chagrin Reservation and Lake Metroparks’ Pleasant Valley Park, and its close proximity to several Land Conservancy conservation easement properties.